MicroLED has come into the spotlight after Apple and Oculus have both acquired MicroLED companies. This is a brief introduction to MicroLED, which is a new self-emitting display technology that shares many traits with OLED. It promises to make displays even brighter and more power efficient. MicroLED technology also lays the foundation for Sony’s “Crystal LED” and Samsung’s “QLED”. MicroLED technology was invented in 2000 by a research group of Prof. Hongxing Jiang and Prof. Jingyu Lin of the Texas Tech University. 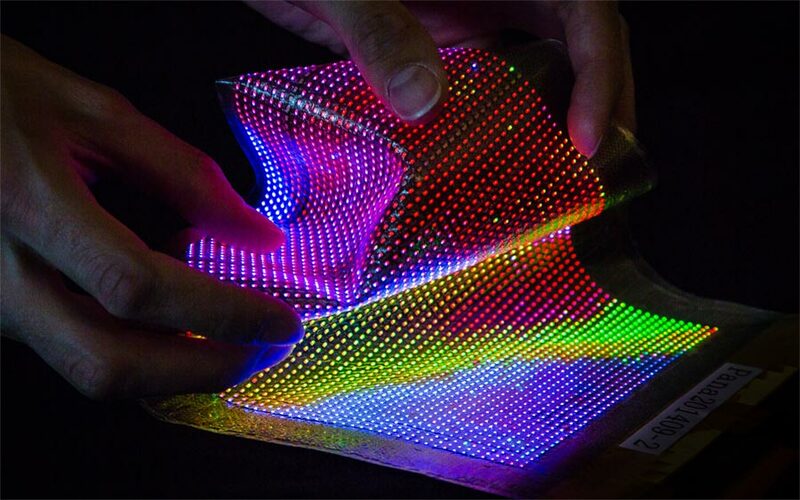 There are currently no MicroLED – also referred to as mLED, µLED and ILED – displays in mass production but the companies developing the technology believe that it has the potential to challenge OLED in the future. That is a bold claim so to understand why these companies are so confident it is perhaps best to start from the beginning. MicroLED is a self-emitting display technology that uses very tiny LEDs for subpixels. Depending on how light from the subpixels (typically three: 1 red, 1 green, 1 blue) is mixed, a pixel can reproduce a given color – just like other current display technologies. It uses a TFT (thin film transistor) circuit to control the individual pixels – again just like other display technologies today. Other self-emitting display technologies are plasma and OLED. Unlike LCD, a self-emitting display does not require a backlight. It produces light in each individual pixel. MicroLED shares many traits with OLED. However, instead of using organic material in the pixel stack, it uses inorganic material such as GaN (Gallium Nitride), which is also used in regular LEDs for lighting. The MicroLEDs are extremely small, typically 1/10th the width of a human hair, which makes it possible to deposit them as a pixel array onto a substrate to make a display. One patent relating to MicroLED describes how the light diodes require a passive color filter on top to reproduce colors. The filter can be made of different types of material, which we cover in the next section. 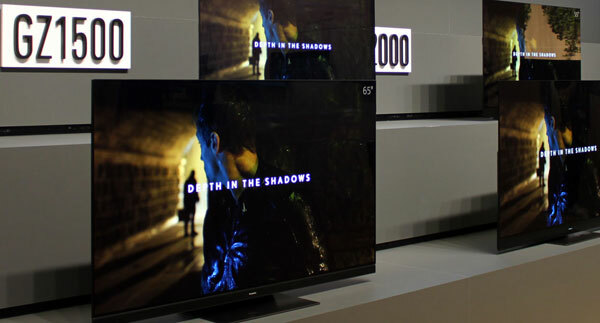 Companies developing MicroLED promise features such as very high contrast, very deep blacks, fast response time, high brightness levels and low energy consumption. The company InfiniLED, acquired by Oculus, says that the technology “offers 20 – 40X reduction in power consumption” but it is not clear compared to what. The company also says that “ILED Displays (Inorganic LED Display) is the next generation of energy efficient display technology for applications ranging from wearables to TVs”. LuxVue, acquired by Apple, at one point claimed that its MicroLED technology was nine times brighter than OLED and LCD. However, that was before the advent of HDR (High Dynamic Range), which has drastically increased brightness on current display technologies. Like OLED, MicroLED can be used for lighting applications, too. Companies involved also target wearables such as watches, mobile devices, monitors, TVs, head-mounted displays (VR and AR) and other devices. The Holst Centre imagines that MicroLED can be embedded in clothing and other things. 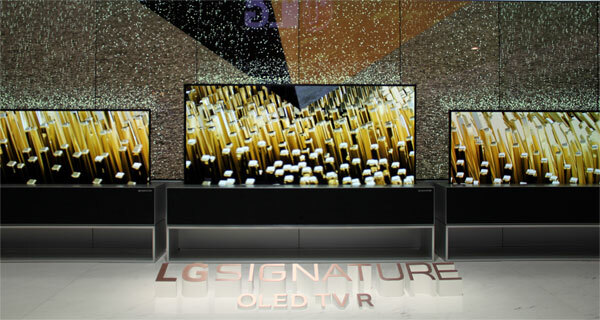 And like OLED, the light-emitting diodes can be deposited on various substrates, including glass, plastic, and metal. This can enable flexible, bendable, and foldable displays. John Doerr of Kleiner Perkins Caufield & Byers and an investor in LuxVue, acquired by Apple, talks about a ”breakthrough in displays” in this video from the Disrupt SF 2013 conference. You may already have heard of, or even seen, MicroLED a few years ago. MicroLED technology has laid the foundation for Sony’s “Crystal LED” prototype. 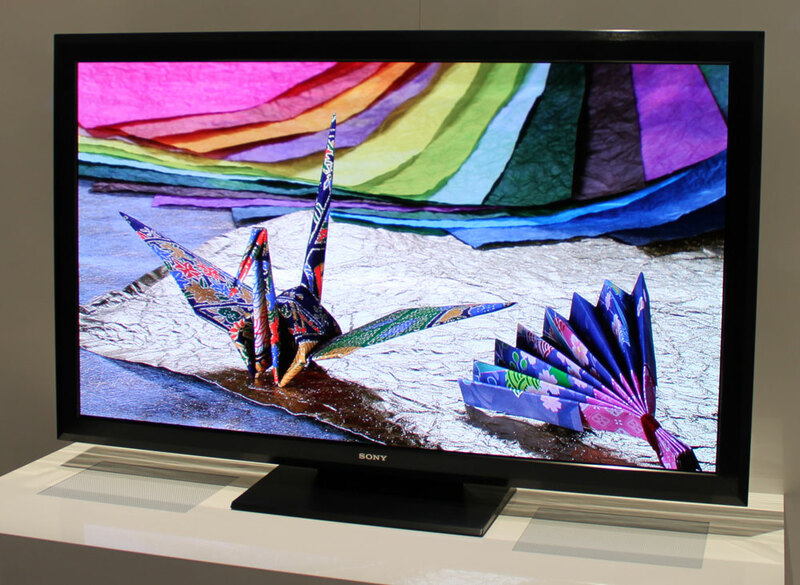 Sony first showcased a Crystal LED TV prototype at CES in Las Vegas in January 2012. Back then, Sony said that it was an ”industry-first full HD self-emitting display using LEDs as a light source”. It utilized 6 million small LEDs (2 million each for red, green, blue subpixels) to reproduce a picture in Full HD resolution. Sony added that it had 3.5 times the contrast ratio, 1.4 times the color gamut (of Rec.709), and 10 times faster response time compared to a traditional LCD. Sony has never released a consumer product but the company released a product for the commercial market under the name “CLEDIS” in May 2016. 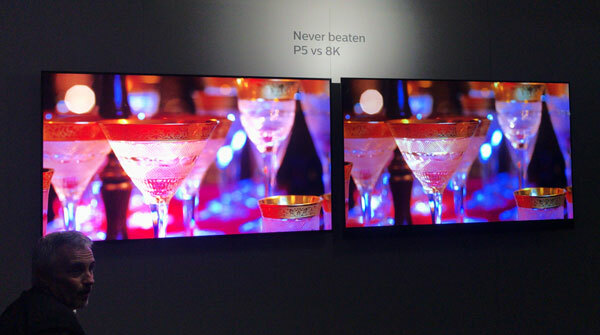 Sony has designed it as a modular solution where 403mm x 453mm modules can be combined to form a bigger screen. 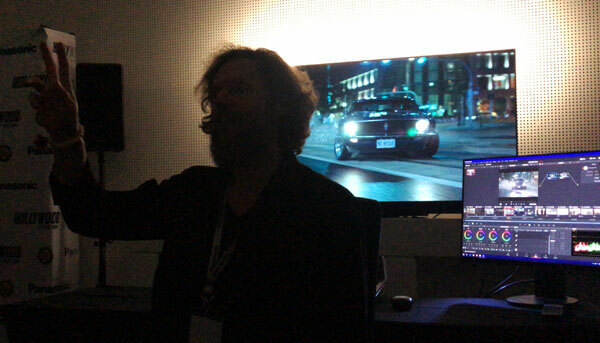 This allowed Sony to showcase a 9.7m x 2.7m display with 8K resolution, 140% sRGB coverage, 1000 nits peaks brightness, and close to perfect viewing angles. As explained in a scientific study paper published by the Optical Society of America, MicroLED can also be combined with quantum dots (on top, instead of a passive color filter) to expand the color space of the display. This is what Samsung is pursuing with “QLED”. To be clear, Samsung is currently selling only LCDs with quantum dot filters in the LED backlight unit. This has nothing to do with MicroLED. Even though Sony is already selling a commercial product, MicroLED is probably 2-4 years out into the future for the consumer market. Like all new display technologies, it will take considerate effort and investments to establish a mass production but in the future MicroLED could emerge as an alternative to OLED as LCD slowly fades away.